With a population of under 2,000 the last time anyone checked, you could be excused for thinking there’s not a market for a great used bookstore. It is the definition of a sleepy little town. There are a lot of such towns in Newaygo County, and throughout this area of Michigan. I grew up in one, and it did not have a used bookstore or new bookstore. I got my comic books at the local grocery (which meant I missed a lot of issues in multi-issue stories) and for books I had to wait until we drove into Muskegon to shop at the supermarket there. However, Newaygo is known for its antique stores that attract tourists, and perhaps that improves the odds of a bookstore making a successful go at it. 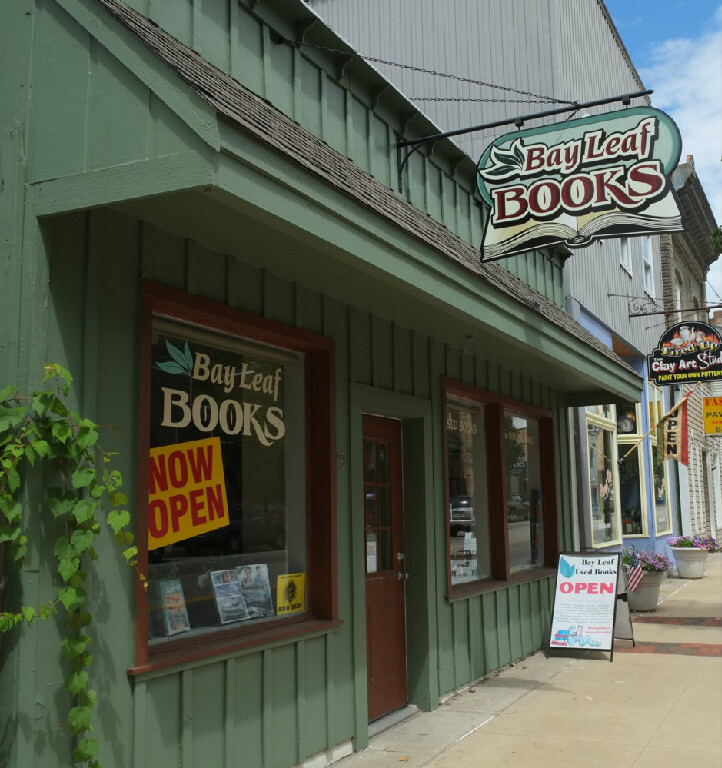 If you are antiquing in Newaygo and you love books, you should stop into Bay Leaf Books. 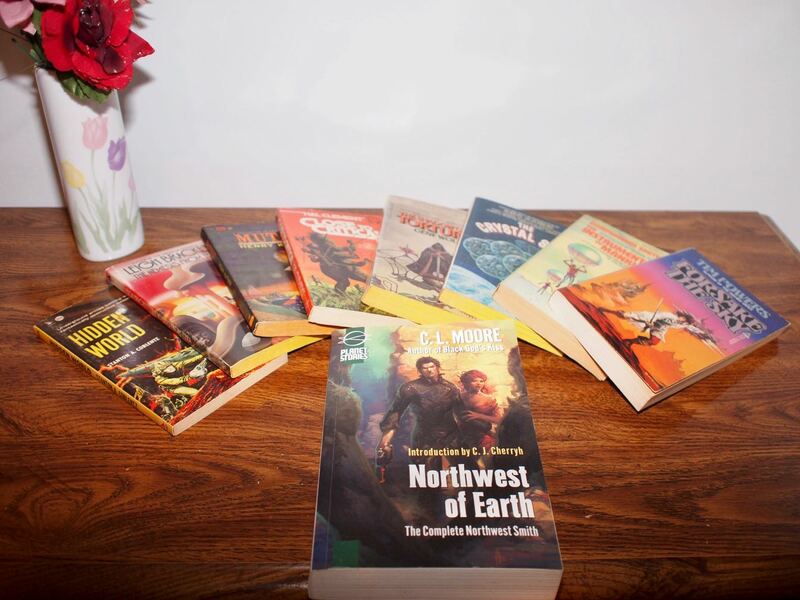 The first time I visited them, I found two books on my want list that I’d been looking for for a long time: The Best of Leigh Brackett, and the Best of Frank Russell. Both times I’ve visited I’ve found books that weren’t on my list but which would have been had I known about them. They have a very nice science fiction section, as well as a whole lot of other books. They also have a local history section if that sort of thing interests you. There’s no question, if you enjoy used bookstores, that you’ll want to stop at Bay Leaf when you’re near Newaygo. While you’re in town, if it happens to be a Tuesday, stop off at the Newaygo Library. At the time I’m writing this (and both times I’ve visited Bay Leaf Books) the library book store was open on Tuesdays from 11 to 2. The Virginia Ciupidro Bookstore isn’t very big, just a small room, but it’s worth stopping at. Due to their limited hours I’ve only been there once, but that day involved picking up four hardcovers, including two by Advise & Consent author Allen Drury. I generally wouldn’t recommend pulling off of the highway for one, but when you’re already in the area the local public library will often have a decent room of used books for fundraising purchases. And unlike bookstores, libraries usually have web sites. Latest haul from Bay Leaf Books. I stopped into Bay Leaf Books over the holidays when I was traveling in Michigan, and discovered that they’ll be closing in “late January or February” 2017, due to health issues. If you’ve been meaning to visit, now is the time. As you can see from the list of books I bought in December on the original review they still have a great selection—and I didn’t take their only copy of some of those books. At the time I went, Bay Leaf was discounting their books 40%, or 20% for special display items. I don’t know if that’s going to change, as their web site says they’ll continue to sell online and at special events. And don’t pass up the opportunity to visit any of the bookstores I highlight on The bookstores less traveled. As sad as it is to see a bookstore go, most, if not all, of them are run by one or two people. They will close down sooner or later. Give them your business now to increase the chances that it will be later. The Newaygo, Michigan, public library. Newaygo, Michigan: Bay Leaf Books last modified December 30th, 2016.